The negative impact weeds bring to lawns, gardens, agricultural lands and other green spaces go beyond aesthetics.Weeds can lead to financial loss, environmental damage and health issues. It is thus the responsibility of every property owner to invest in proper weed control techniques. Effective weed control should be strategic and systematic. Instead of doing it by trial and error, property owners are advised to get help from the specialists. Jungle Busters utilise decades of experience in treating and removing weeds. We utilise methods from mechanical removal, such as using our tractors with vegetation grabs to remove large infestations of lantana, to herbicide control and mulching. Jungle Busters has high volume quick spray units mounted on four wheel drives and off road buggies fitted with spraying equipment. We use that latest technology in herbicides which are applied safely and to manufacturer’s specification. 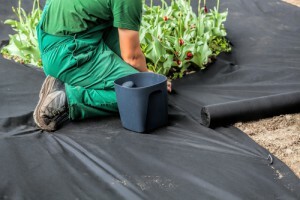 We identify the weeds and then determine the correct products and solutions according to several factors – the types of weeds, the soil and climate condition, the varieties of plants and trees you have, and so on. Once weeds have been treated it is highly recommended that ongoing maintenance be implemented to minimise the chance of the weeds returning. This is done by mulching garden beds, regular mowing or slashing of grass and follow up herbicide treatments. The objective is to get rid of weeds while protecting grass growth and boosting the health of the soil, because taking up a preventive stance is the best way to prepare for the long term.